Genuine Original Equipment Manufacturer (OEM) parts! 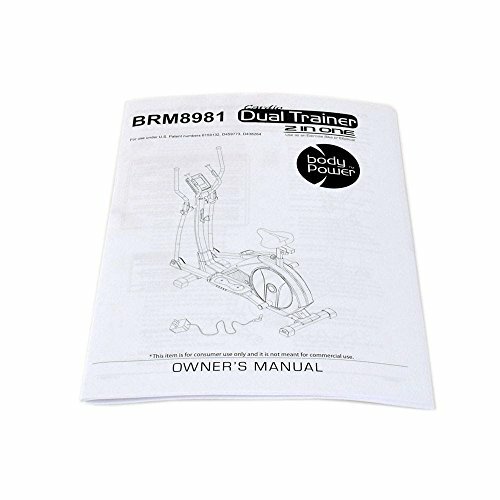 This manufacturer-approved owner's manual (part number 8981-OM) is for ellipticals. Owner's manual 8981-OM includes use and care instructions, the manufacturer's warranty and basic troubleshooting information. For Body Flex Sports.